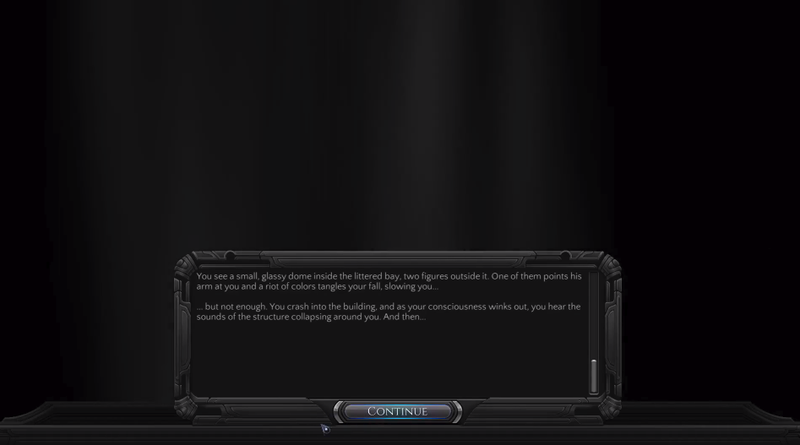 I’ve never been so enthralled by the opening of a game that focused almost entirely on a mostly blank screen. Most games like to begin with a quick cutscene. It’s usually a simple and straightforward way too pull players in. High production values, beautiful looking cinematics, and a quick glimpse of the characters, setting, or central drama. With these images firmly in their heads, players can then go on into the world of the game with a clearer idea of the core story its graphical shortcuts and abstract mechanics are trying to convey. 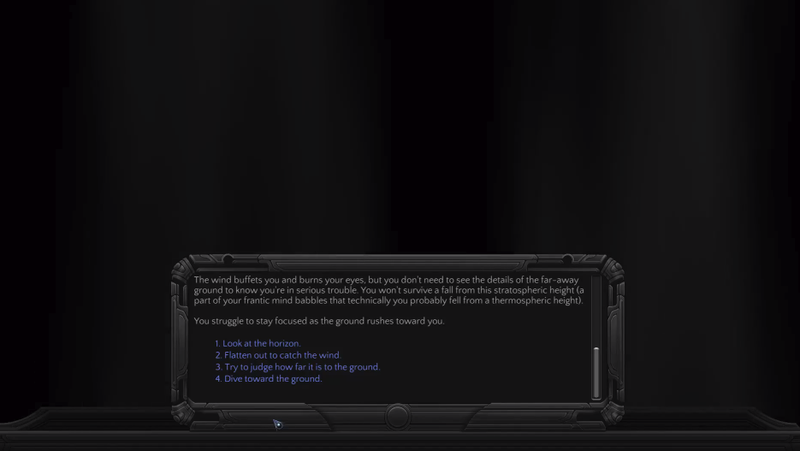 Torment: Tides of Numenera begins with a black screen and some overwrought dialogue. You can hear the sound of the wind rushing past you that the text describes, and select some options about how the character you’re role-playing as responds to their vague predicament. Other than that, it’s simply darkness. In these opening moments the game plods slowly and methodically through the void and doesn’t seem to give two shits whether the player is on-board or not. It works though. At least, it did for me. Tides of Numenera, the much-anticipated crowdfunded successor to Planescape: Torment came out early in the year. As a somewhat obtuse, isometric RPG, I slept on it originally. As part of my effort to revisit the games I skipped this year before 2017 draws to a close, I finally picked it up last month. Turning the game on late one night at the type of hour you usually reserve for that thing you’ve been putting off all day, I expected to struggle through its opening hours out of a sense of duty. Instead, I found myself immediately intrigued. Imagining my blind avatar falling through the sky as the game describes, the wind whistling on for minutes as I carefully read each new piece of inner-monologue, I felt more invested in the fate of someone whose face I’d never even seen than most other characters I’ve met this year. In part that was because of how quickly Tides of Numenera asks you to start buying into this new character it’s created for you. The introduction is really a character customisation screen in disguise. Where some games ask you to pick traits from a list or by craft your identity by answering some obvious questions (like when Liam Neeson interrogates you at the start of Fallout 3), inXile Entertainment’s modern CRPG begins by getting you to respond naturally to an unnatural situation. You’re lodged in a pink cocoon falling through the sky. “Your first emotion is an involuntary and formless panic. You feel you have forgotten something—something important, as if it once meant the world to you...but the details slip away as you grasp at them,” the game says. Forests, deserts, and ruins dot the surrounding landscape. As you fall you can try to spread your arms to slow your descent or bring them closer together to speed it up. You can study the ground below you or instead try to comb your memory for some clue of how you got here. You can also choose to look at your body, as if for the first time, possibly reflecting on how odd it might feel to inhabit something that could feel at once both familiar and incredibly alien. As you choose what to look at and what to think about, it’s unclear what effect, if any, your selection will have on the game ahead, but it doesn’t really matter. Aside from any stat bonuses or character attributes, the choices build their own story of what type of person it is currently plummeting toward certain doom. It’s not uncommon for games to give you the reigns of someone with amnesia, as Tides of Numenera does. Someone without a memory is easy to shape and also dump exposition on. Most games though don’t give you the choice to articulate an identity by how you respond to various pieces of text. This is most of Tides of Numenera, in fact, and also part of what people remembered so fondly about its predecessor. A vagueness hangs off the end of almost every phrase in the game, starting from the beginning. “A word surfaces in your thoughts and you seize it before it vanishes: Sorrow,” the game tells you in its beginning sequence. The way it’s described gives it a kinship with the Nothing from the Neverending Story. Like that piece of literature theory rendered as fantasy allegory, the game’s reliance on words and their potential for ambiguity is actually a large part of its appeal. It would be easy to chide Tides of Numenera for trying to do so much by telling rather than showing, but suggestive possibility of words is central to what gives the role-playing game its unique and evocative mood. In the five or so minutes spent plummeting through the air at the beginning it’s as if a whole world is being constructed. Tides of Numenera's trick is to not make that creation a one-to-one representation of the text you unlock as you play and read through the game, but rather to make it the sum of your reactions to it. The dome beneath my character as he fell felt significant and realised, despite never being shown, not because of how the game described it, but because I chose to look down in the first place. This is something that some games based around dialogue wheels and player choice often miss. What you decide to do recasts the game’s world in a different light, regardless of what comes next.